Ohh! 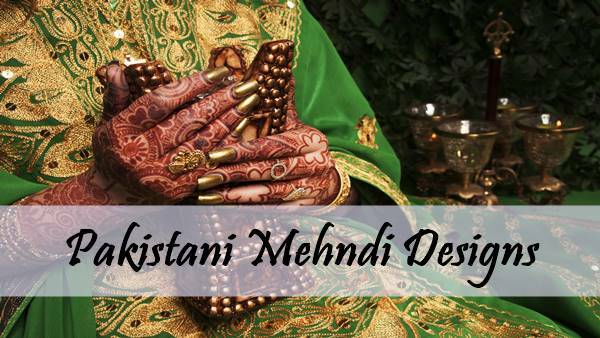 Looking for Pakistani mehndi designs, let me tell you here some very beautiful designs from the Pakistan culture are given. Hopefully, many of these designs are going to be made in your hands that definitely seek the attention of your colleges. 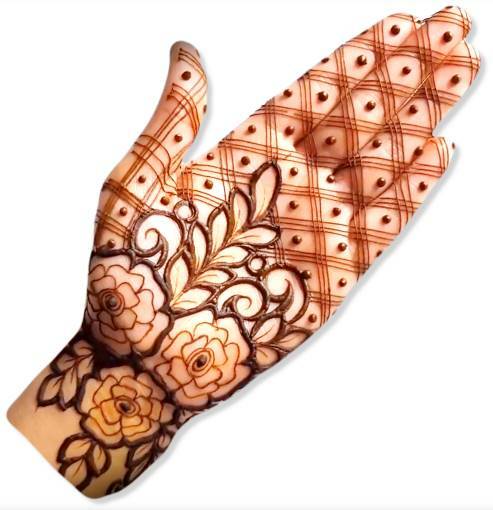 So, let's start scroll with interesting henna designs. Pakistan and Arabia are similar in some cultures, the reason is that the religion of both is alike. So this Pak-Arab mehndi design reflects the combination of the culture of both. 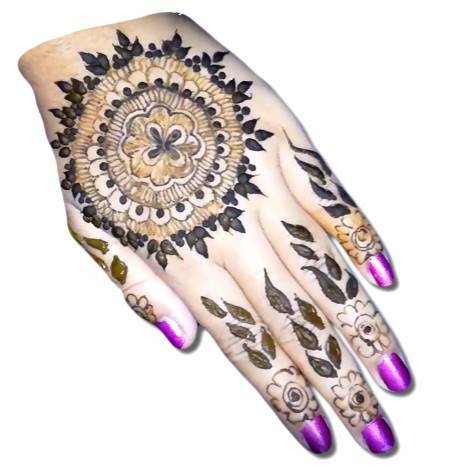 You can try more Arabic mehndi designs here. Along with the front hand, you will also need the design of backhand and I don't think there is any fault in this design. Its shine definitely will force you to make it. 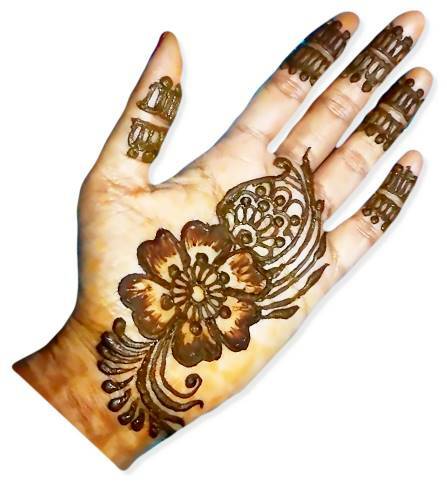 You can not find any mistake in this design of Pakistani henna. 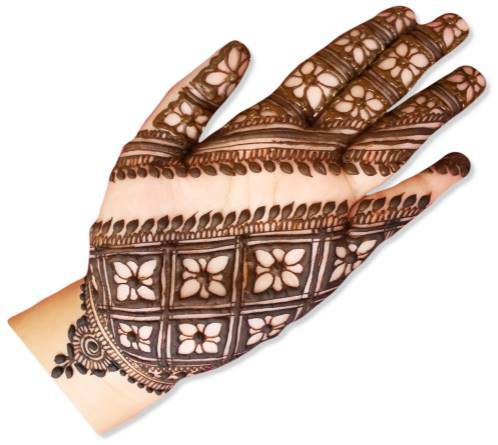 This design shows a great art of mehndi and we should always respect a great art. Bridal means Dulhan in Urdu and this design is special for the Bridal. 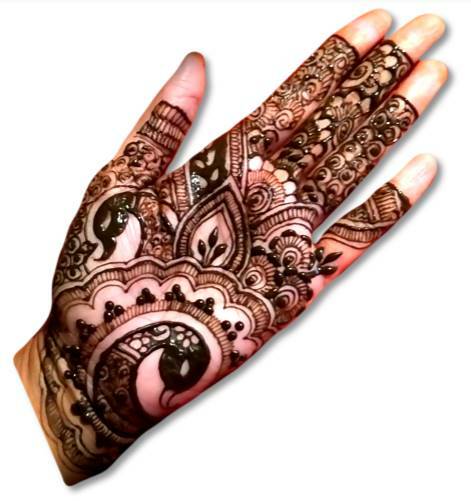 I think you will need more designs for the wedding, then you can check here more Dulhan mehndi designs. You know, this type of design is very common in Pakistani culture. I think every girl from Pakistan can make this type of easy mehndi designs. 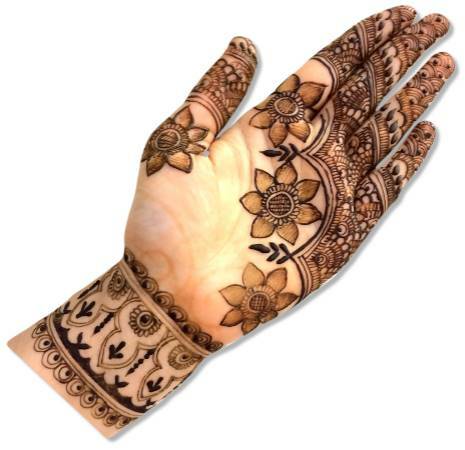 Eid is a festival of Muslims and there is a trend of making mehndi on this occasion. Every woman tries to look great on the occasion of Eid. So this design of Eid mehndi definitely helps you. Waw! Wonderful! You will definitely say after watching this design. 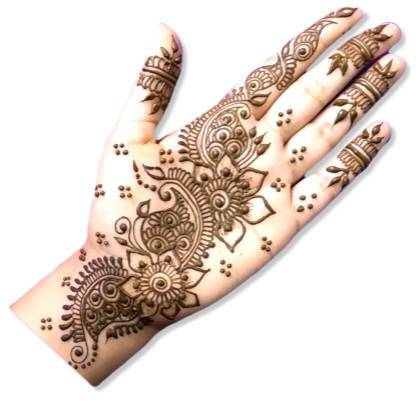 And everyone would wish that such a beautiful mehndi design be made on our hands, maybe try it out. Some things always look good only as simple as like of this design. One advantage of this design is that it will take less time. If you have a shortage of time then try it. Such designs are very liked by those who are in love. And why not like it, because the heart that is made in it will surely make your partner feel loved. 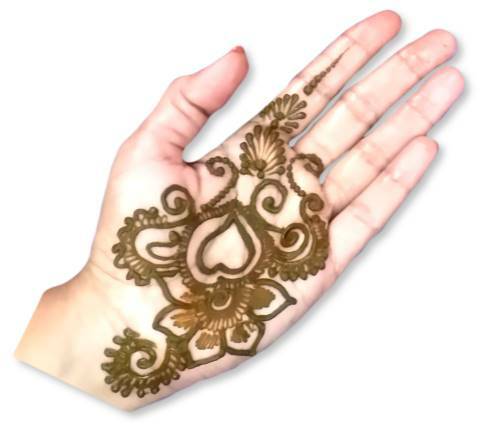 If your heart really beats for someone then try more heart mehndi designs. 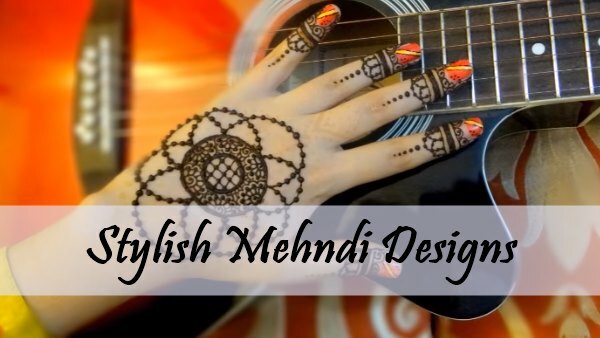 Are the designs of Gol Tikki mehndi also made in Pakistan? 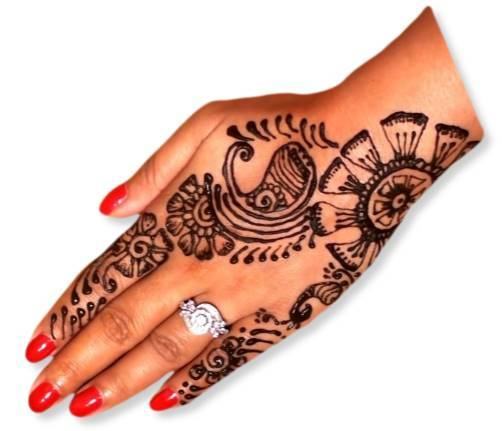 Yes, why not the designs of Gol Tikki mehndi famous across the world and you can see more Gol Tikki mehndi designs. This is a pure heart henna design because some designs contain heart with the mixture of other design. If your heart beats for someone, then you are definitely going to try to make it. 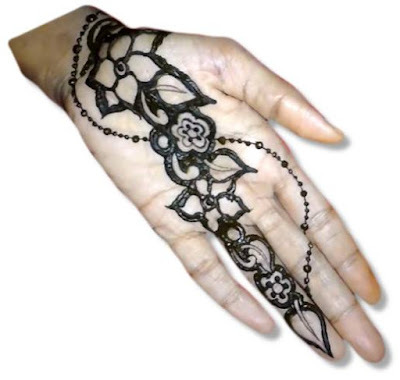 The designs of such jewellery mehndi will be seen at the time of Eid, Muharram, Holi etc. It seems very hard to create such designs. 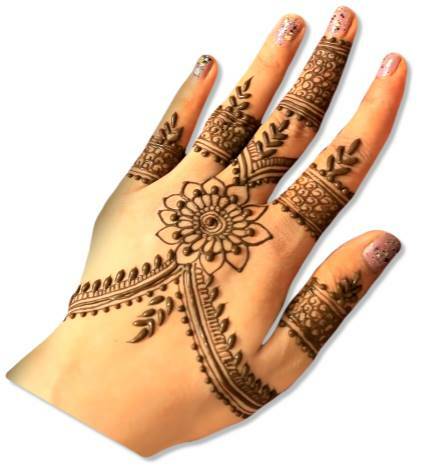 You can find here more pattern of Jewellery mehndi designs. Every design has its own quality, and the best thing about Mandala is that it reflects the Universe according to its meaning. 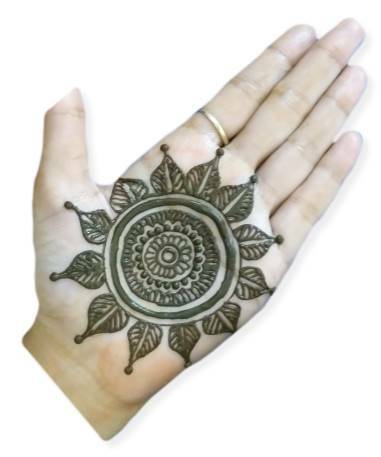 If you want to draw a design like a universe then try more Mandala mehndi designs. Fresh design is required to look fresh at every moment. We understand and we will not let you stay behind in this matter. 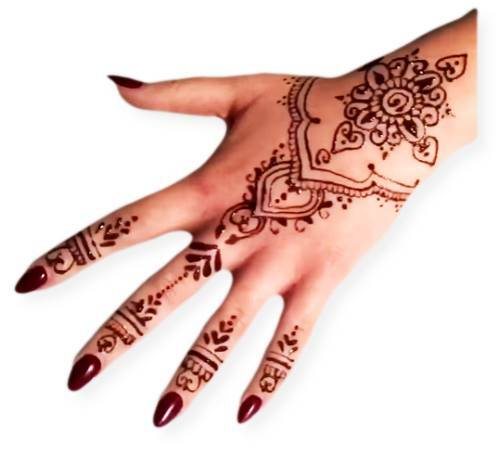 So try this beautiful fresh henna. 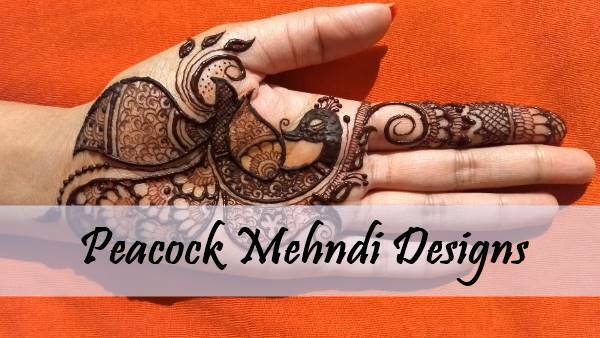 This design shows the beauty of peacock and called as Peacock mehndi designs. These designs are very popular in Pakistan and if you are from Pakistan you know very well it. For more, you can visit our Peacock mehndi designs gallery here. If you don't have any idea about of design on the Palm, don't worry this design will help you to draw on the palm. There is enough blank space, you can add anything. After all the effort, a point will come in that you will find simple design. 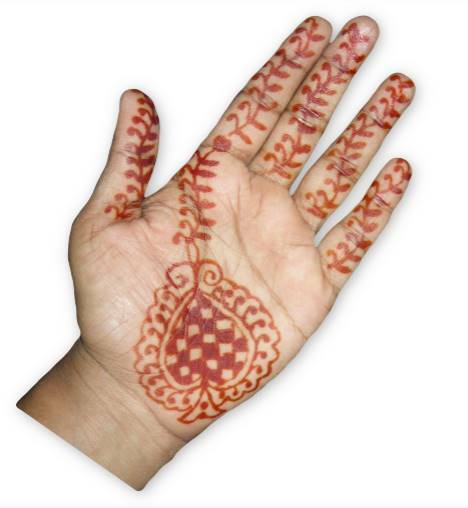 At that time this Simple mehndi design will be required. 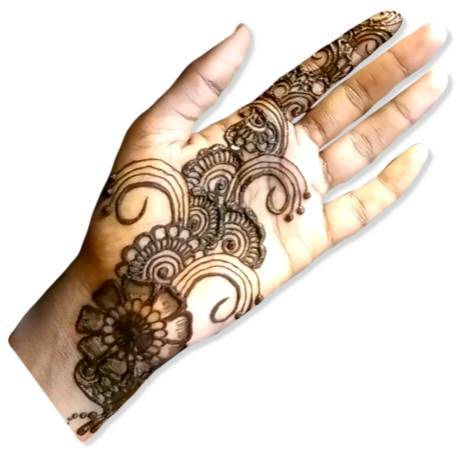 I think, its simplicity will attract people & you should have to watch more simple mehndi designs here. People living in style are always liked in this world and our Style enhances our personality. 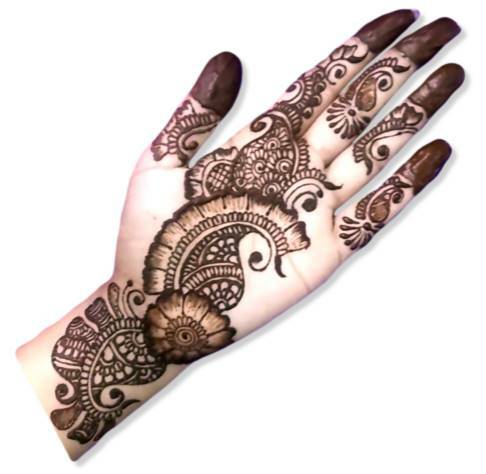 If you also want to appear in style, try this stylish mehndi design. 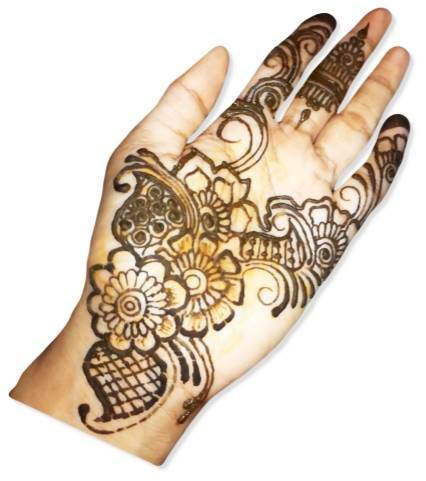 Maybe you have not heard it before about Pot mehndi design. 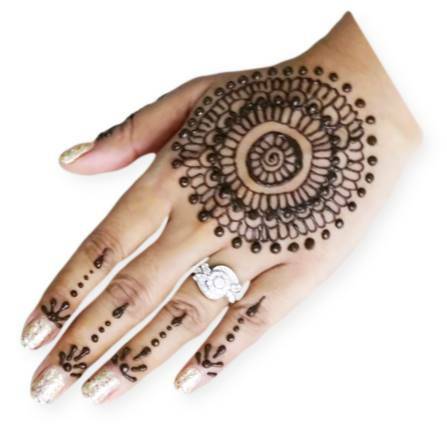 This is the beginning of the new age of henna and these pot mehndi designs are really fantastic. 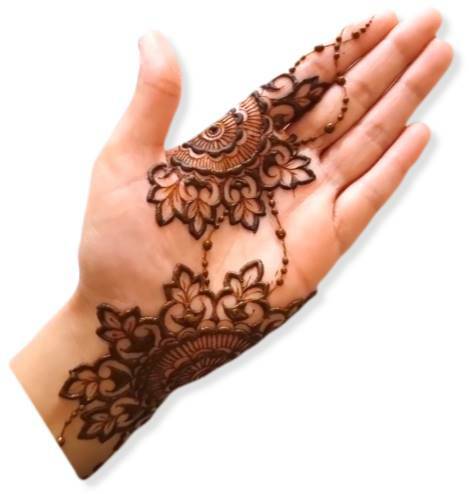 Pakistan's wedding is celebrated with great affection and on such special occasions, every woman will need unique mehndi's designs. 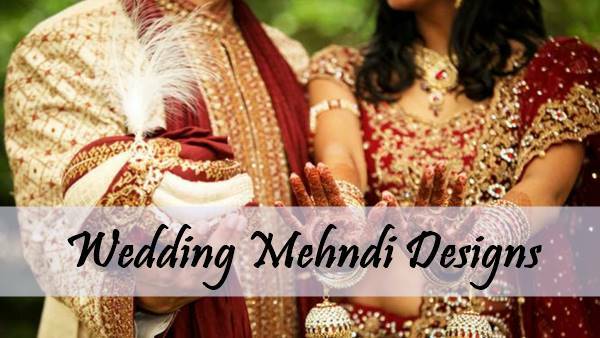 If you are looking only for special mehndi designs for wedding then try here. 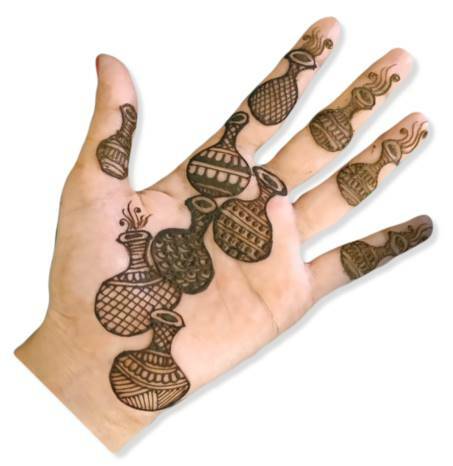 Pakistani Mehndi design has its own distinct fragrance. And this fragrance is spread in every village and every street and in the culture of Pakistan. So enjoy the fragrance of these beautiful designs.